Lately, guns and ammunition have been hard to come by. With the threats of gun and ammo bans, people of all kinds are seeking out these commodities before it’s too late. This nation-wide scramble has caused an ammunition shortage, most significantly effecting the availability of self defense rounds. This shortage has left many of us preppers frustrated and wondering where and how to find the ammunition that we need. Whether for our preps, stock piles, hunting, or training, many preppers are looking for ammunition and just not having much luck. That’s all about to change as we give you these 4 secrets to finding the ammunition you desire. But first, lets look at why exactly the shortage is taking place. 1. The price of ammo has risen as the price of other essential commodities such as gold and gas. These rise along with the unemployment rate and gun ownership. 2. 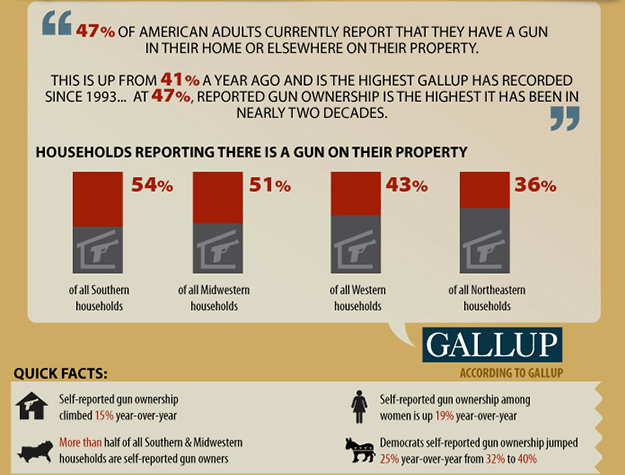 Between 2010 and 2011 gun ownership in american homes rose from 41% to 47%, making it the highest it has been in almost 20 years. 3. 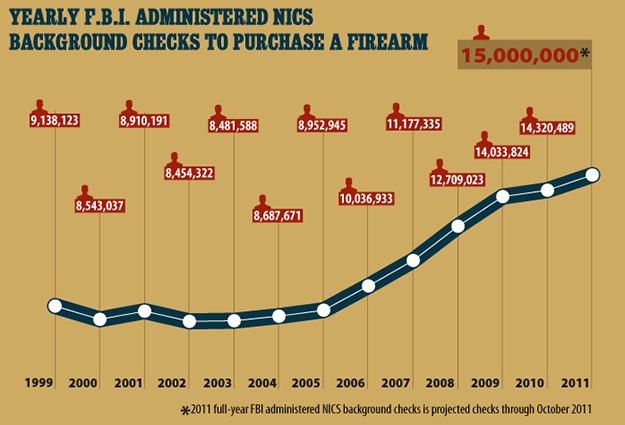 NICS background checks for gun ownership also rose to an all-time high. 4. 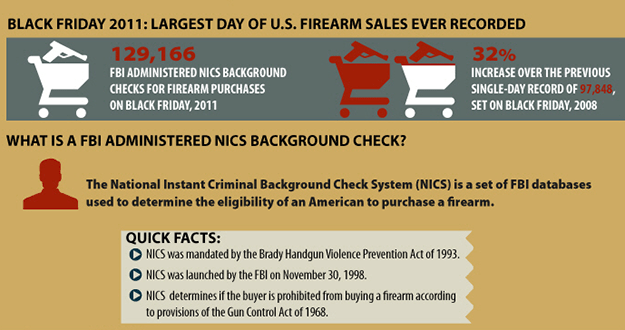 Black Friday 2011 crushes the record for gun purchases in a single day. We see the price of guns and ammo increasing much like the price of gold increases during times of uncertainty. 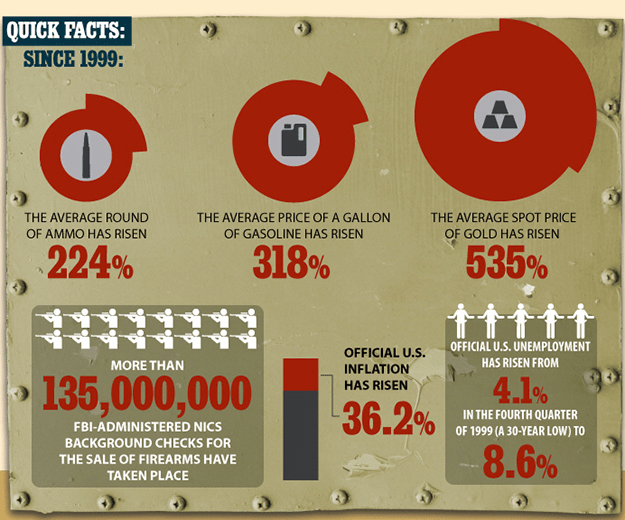 The infographic below gives a more detailed timeline of the events leading to ammunition prices rising and the shortage that we are experiencing now. So what do we do? There’s not enough ammo for everyone who is looking for it, and time and time again your efforts at stocking up fail miserably as the ammo is snatched up as soon as it it put out on the shelves. We have 4 easy tips that can help make your life easier and get some of that precious ammunition into your hands! 1. Find out when shipments arrive. How many times have you tried to buy ammo and found the shelves to be empty? 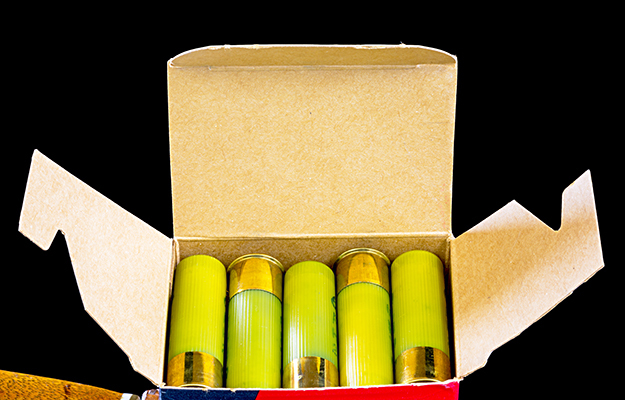 Often, stores will sell out of the popular varieties of ammunition almost immediately after putting out. 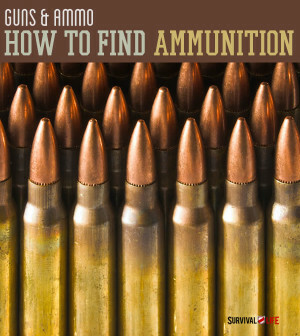 Talking with the people at your local sporting goods and gun stores could be a huge help in finding your ammunition. 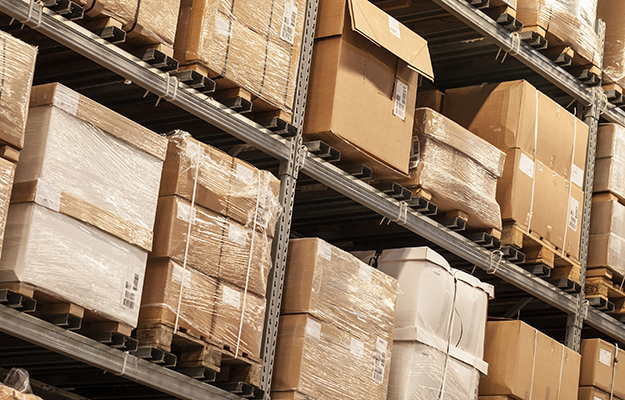 Simply finding out what days to expect shipments can cut down a lot of the guess work when it comes to when to show up. Even your odds by finding out the shipment schedules and showing up to the stores accordingly. 2. Establish yourself at a gun shop. Getting in good with the people at your gun shop can give you a big advantage when looking for ammunition. 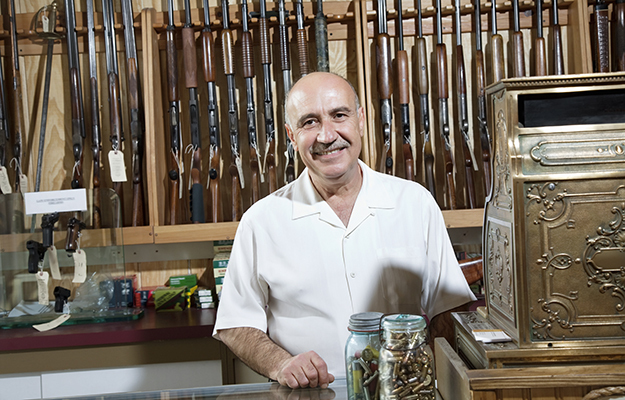 If you’re a good customer, they’ll do what they can to maintain your loyalty, and that can mean hanging on to ammo and other good stuff they know you’re looking for. Start buying your guns and ammo from the same store, make friends with the owner and clerks, and before you know it you’ll have them helping you find the ammunition you need. 3. Don’t be afraid to back order. As we said earlier, you will often find empty shelves in the stores when looking for ammunition. Our first instinct is to sulk back to the car and try again later. Instead, take advantage of getting on a wait list for the ammunition you’re looking for. Whether in a store or on the internet, there will often be the opportunity to lock in at the current price and pre-order your ammunition before the price goes up. Don’t hesitate to go ahead and get on the backorder list in order to get your ammo. 4. 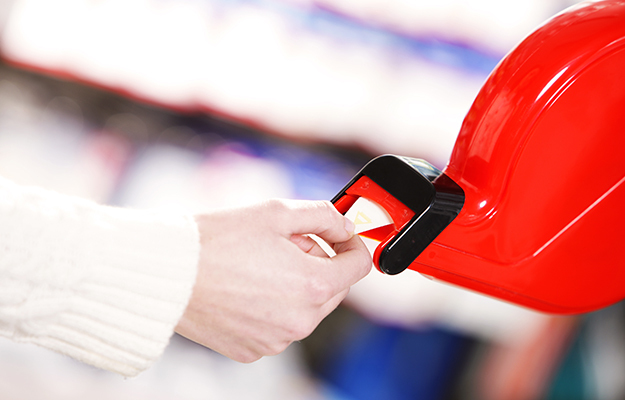 Use the online shopping “Notify Me” tool. When shopping online and you find that the ammo you’re looking for is sold out, don’t just ex-out of the screen. Look around on the product page to see if there’s an option to have the store notify you when they receive more ammunition. Simply putting in your email address can help you get on top of the new shipment before it’s gone. This is especially useful if you have a smart phone, making it fast an easy to get the email notification and buy your ammunition anywhere. There you have it, the top 4 ways to ease your frustration until this shortage passes. The good news is that things seem to be getting somewhat better, and if things continue this way we shouldn’t be experiencing such an abnormally high demand for ammunition for too terribly much longer. But until then, use these tips to get your ammunition!